You know, I put up a video showing my ideal cast for the Vampire Chronicles. Anyway, as a result, there are other videos that show other people’s ideal cast. I watched several of those videos and I noticed that a lot of people, myself included, put Jaime Campbell Bower as Armand. I find it interesting that quite a few people did that. I mean, is there so few actors out there right now that are a bit androgynous and that could pass for a 17-year-old? 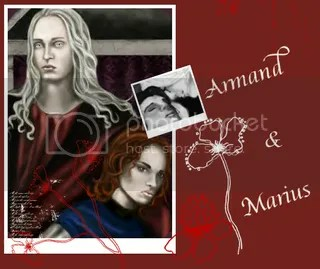 In my Lestat vs. Edward pictures post, one of the pictures that I mentioned had a reaction from Armand. It made me think. There’s a similarity between Armand/Marius and Bella/Edward relationships. The similarity is that Armand and Bella were both humans that were turned into vampires by their respective vampire lovers, Marius and Edward. I didn’t really realize that until I saw Armand’s reaction in that picture. I just thought that was interesting. 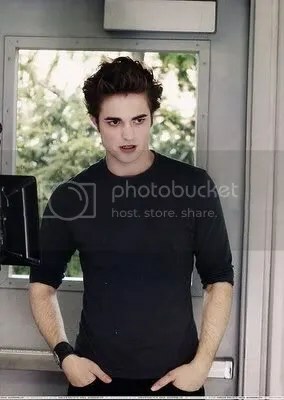 I was looking up Edward Cullen on Wikipedia and I saw that it said that Edward was a Byronic hero. Because of that, I clicked on the link that explained what a Byronic hero was. Anyway, as I was reading the characteristics, it did sounds like Edward As I continued down the website, it mentioned that Lestat from the Vampire Chronicles and the Phantom from the Phantom of the Opera were Byronic heros as well, but I digress with the Phantom. That made me think about how much Lestat and Edward were alike in the sense that they are both Byronic heros. I think that’s the reason why I don’t like either character. I mean, it’s not that I hate them, but it’s just that they’re not my favorites characters from their respective series. Anyway, I think that’s the reason why I don’t like Lestat and Edward is the fact that they’re Byronic heros. 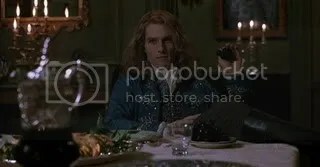 In my search for any Lestat vs. Edward stuff, I found quite a few pictures that made fun of Edward and the Twilight series or making fun of the fact the Twilight series “outshines” the Vampire Chronicles. The one that I found to be the most funny was the one where it showed Edward and Bella together in the first box, and the following three boxes showing Louis, Lestat, and Armand telling their opinions on the series. 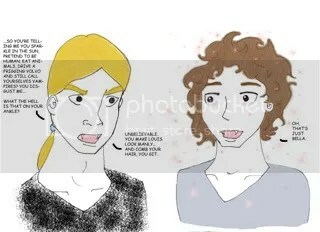 I found that Lestat’s and Armand’s reactions to be the most funny. Their reactions were classic Lestat and Armand. Anyway, the next one that I thought was funny was the one where Lestat as picking on Edward. I just found those funny. By the way, you can find the originals at this site. 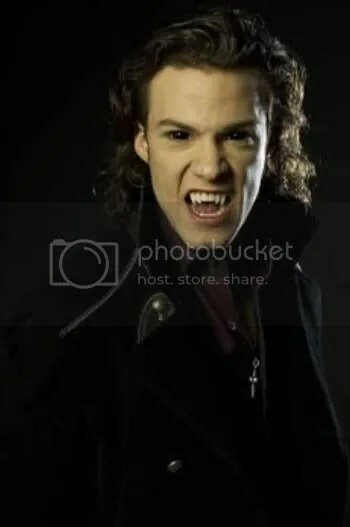 I was bored recently and was on my computer I don’t know why but I typed Lestat vs. Edward into Google to see what I would get. Anyway, a lot of stuff that popped up were drawings of people making fun of Edward through Lestat’s point of view, and videos and articles asking who would win in a no-holds bar fight. I immediately thought that Lestat would definitely win. I say that because, after looking up their powers as a refresher, while Edward has super strength, super speed, and can read minds, Lestat can do or has all of that, plus so much more. Lestat also has pyrokinesis, the ability to fly, and he’s telekinetic. Plus, he killed an entire wolf pack by himself, albeit with the help of his two mastiff dogs. Anyway, I really think that Lestat would definitely win the fight against Edward, and that’s assuming Lestat doesn’t fall in love with Edward first, which I doubt would actually happen, and that Lestat doesn’t hurt Bella. While I was writing my previous post, I was thinking about who everyone would be the better Akasha, Amy Lee or May Hariri? I already know that I’m torn between both. Anyway, I just made this poll to see what other people thought.